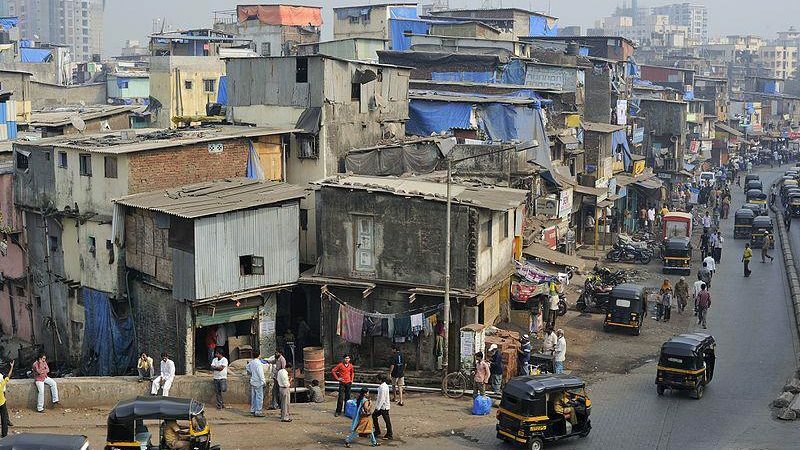 • India Development Review details the country’s goal to become slum-free and what that means for transforming city neighborhoods through policies and funding. • Special zoning provisions are a focus in this article, but the main takeaway that could apply to urban development in any country is that there is no quick fix — improving the lives of those living in poverty requires patience and persistence. • Here’s more about the state of funding in India and questioning scale as we know it. “Slum-free city” is a term that is often used in India’s urban policy halls. It reflects both an important aspiration but also a crucial public obligation — of our urban local bodies, but also of state and central governments. But what exactly does it mean to be slum-free? And by extension, if a city has to be slum-free, what happens to the slums themselves, when their living conditions improve? What are they called? Put another way, when does a slum stop being a slum? Surprisingly, there is no publicly stated policy on this key question. Nor is there enough data on the path out of slum-hood to neighborhood. Census 2011 provides a fair amount of information on India’s slums (some of this data has been challenged, but leaving this aside): the definition (minimum 60 households); the number of Indian cities that have slums (2,600) the number of slums across the country (33,500); the population in these slums(65.5 million): the infrastructure available (56% with access to water, 90% use electric power), and so on. But there is no information on slums that are no longer slums, those neighborhoods that were slums in 2001 and graduated into… what? This isn’t a trivial question. It forces us to define the desired end-state of a slum in very specific terms, so that slums can transition to this end-state, and people in the households there get access to the minimum quality of life that they deserve as citizens. Read the full article about achieving slum-free cities in India by Swati Ramanathan at India Development Review. If you are looking for more articles and resources for Global Development, take a look at these Giving Compass selections related to impact giving and Global Development. Giving Compass' Take: • Stanford Social Innovation Review discusses the rise of design thinking and how it can be applied to the enormous sphere of global poverty. • Is it possible to address the gaps in conventional development efforts and poverty interventions with such a shift? Design thinking addresses more fundamental questions — such as "Why does poverty exist?" — and may be more responsive to imbalances in power. • Here's more on how design thinking can impact aid work around the world. There’s been a lot of hype in recent years about the power of design thinking to solve social problems. Companies like IDEO, frog, and Smart Design — as well as numerous foundations, design schools, and nonprofits — have set out to tackle tough issues with innovations that make use of social and cognitive science, focus on systemic analysis, and pay attention to emergent patterns. They are advocates of design thinking for social impact, and they’re making serious progress in areas such as improving voter registration and education programs for people stranded in refugee camps. But what if we were to ratchet up from this level of targeted innovation and apply design principles to one of the biggest social issues of our time: global poverty itself? The world’s most powerful governments and international institutions are working hard right now to convince us that global poverty has been cut in half since the 90’s. More and more analysts, though, are pointing out that this claim is little more than an accounting trick: UN officials have massaged the numbers to make it seem as though poverty has been reduced, when in fact it has increased. What this means is that the bulk of the well-meaning development projects that have been rolled out in the Global South over the past 65 years — costing hundreds of billions of dollars — have had very little positive impact on poverty numbers (with a net negative effect when ecological degradation is added to the equation). How has this happened? The answer is that the preferred development model suffers from severe, monumental design flaws. Read the full article about using design thinking to address poverty by Martin Kirk, Jason Hickel and Joe Brewer at Stanford Social Innovation Review. In addition to learning and connecting with others, taking action is a key step towards becoming an impact giver. If you are interested in giving with impact for Global Development take a look at these Giving Funds, Charitable Organizations or Projects.